The weekend of Adepticon sees the WHFB Championships. I was signed up to play and played my first round before withdrawing. It was the first time I've ever pulled out of an event but I think I made the right call. Jack had arrived in from Boston and it was a good opportunity to catch up with him and also to actually experience the convention. We spent the next couple of days checking out all the halls, vendors, bits merchants etc. My tip if you are going to Adepticon is to definitely not play every day....as if you do you miss what is trly a unique experience - well for NZ gamers anyway. Vampire Counts - Game of Thrones Inspired? This morning there was a parcel in my letterbox from WarGamma. 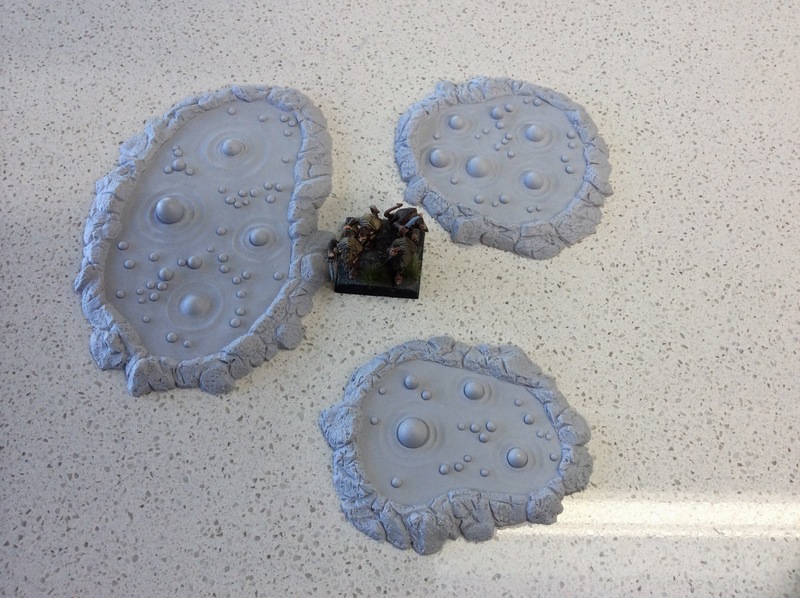 It had the three sets of Swamp/Lava Pools I purchased at Adepticon. They had sold all their stock but were offering to ship them post-event. That is a 40mm square base for scale. In each set costing $12 you get three pools. The detail is very crisp and I believe that they will paint up extremely well. Part of the attraction is that they are multi-purpose. I've seen them painted as lava pools and swamp. I bet you could make them into lizard spawning ponds or Tyranid biomass pools. Very happy with them and I'll try and get a set painted up in the next week. Paul Dalton has provided me with the details for Tin Soldier in July. This event is always about Monsters and Paul has produced a pack that encourages you to take them. It will be held in Onehaunga on 19/20 July and I urge you all to attend if the idea of big beasties excites you. It is great to see even more variety in the tournaments we have available. Really is the Aweakening of the Wood! Over the course of the week we went out for dinner at the various eateries around the Yorktown area. By the time Jeff finished the first day of the Championships and we were ready to go out it was 10.00pm. We decided to go to the chain "Claim Jumper". The food was pretty average but one of the menu items piqued my interest. The "Six Layer Chocolate Mudcake" was described as having been voted the USA's #5 Most Decadent Dessert. I ordered one for Jeff. When it arrived I was shocked. I thought the waiter had misheard me and that I had ordered four. Jeff reckoned he could take it but I knew that boy's eyes are bigger than his stomach. He started in on the first layer but struggled to finish that. In between each layer was half an inch of icing. In the end Jack joined in to help. Monty and I were far to smart to get involved. Admitting defeat we asked for a doggie-bag and took four and a half layers back for the Battlefront guys. 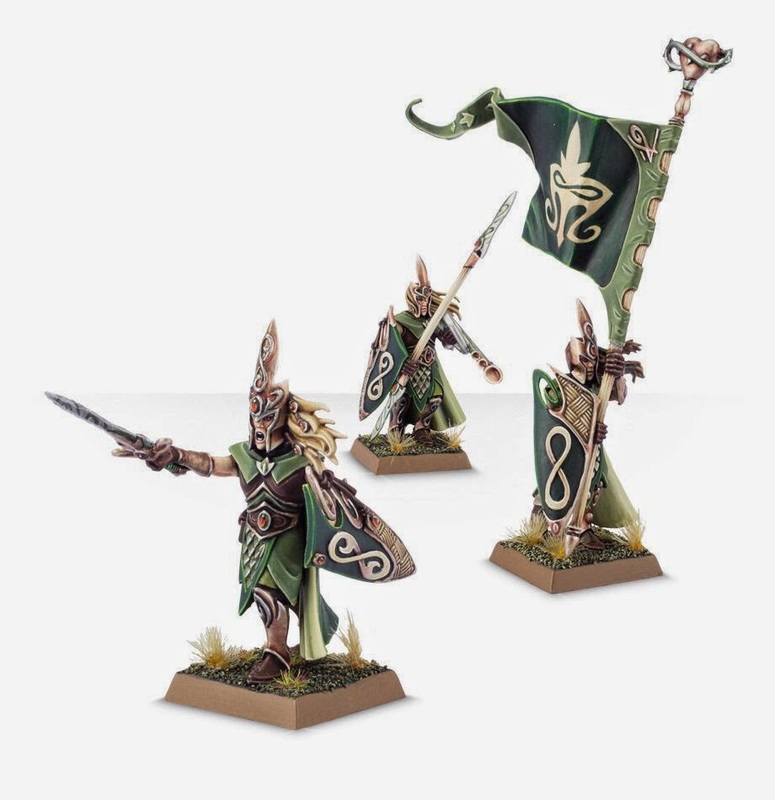 I think Games Workshop have done a fantastic job with this release. I expect the bandwagon to be full unless the rules are gash....which they won't be. One of the icons I have in the rankings is for most tournaments played in the 12 month period. In the past the tiebreaker defaulted to Highest Ranked. It has now been changed to Lowest Ranked. For those of you interested in alternative models the Creature Caster Kickstarter is progressing and has 12 days to go. Over the weekend two new models were unlocked. The Treewalker is an update on the Ultraforge Treewoman. I have one of those and it is a great, dare I say tree-mendous, model. The second is a Zombie Dragon. The picture is just concept art. The sculptor has confirmed the dragon will be incredibly "zombified" with slaking flesh, ripped skin and exposed bones. The cost of the first model is $CAD 75 and the second $CAD 150. 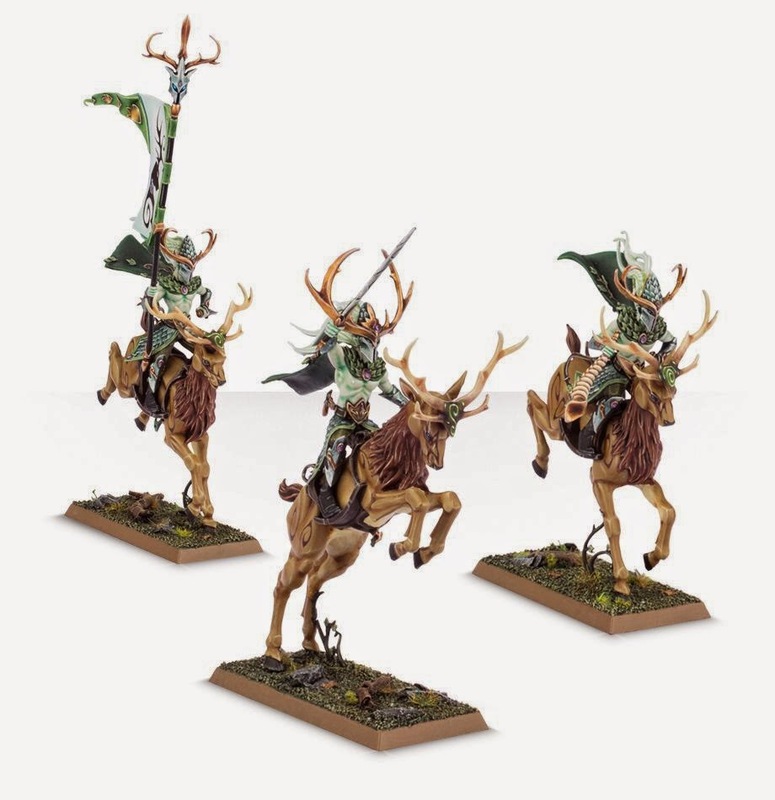 The release of the Treewalker saw a jump in pledges as it coincided with the announcement that Wood Elves were being updated. Looking at the Wraithknight - Mulch Edition versus this model, there is no contest in my mind. Over the weekend I had a number of people ask me to reconsider shelving FOB events later in the year. Some very kind things were said about how much they anticipate local opportunities to game. I still intend to put "Warpfire" into hibernation. It is scheduled for two weeks after Call to Arms (also in Wellington) and I do not want the two events to compete for numbers against each other. However I am happy to reconsider my decision re Skitterleap in light of the feedback. It is on Labour Weekend and hopefully it will give people the opportunity to game without taking up the whole time. I'll confirm post Horned Rat when I see what number are achieved. I sent out emails to locals this morning and also urged those that were at Runefang to come and to cajole their friends as well. This has already had a response with a number of people confirming to me this morning that they are attending. I am hopeful that the numbers will continue to grow over the next few days. One of the feature introduced this year in the FOB Rankings are the Army Rankings. 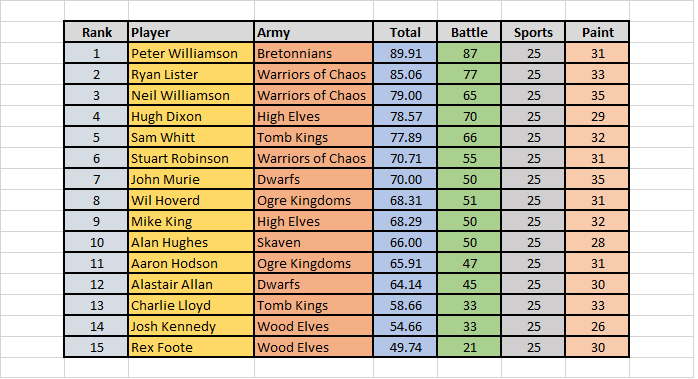 To determine this we take the best 10 results in ranking points for each army - however and very importantly this takes out the results of the Army Icon holder. The rationale for this is that it acts as a balance on player capability in what is a smaller tournament environment. 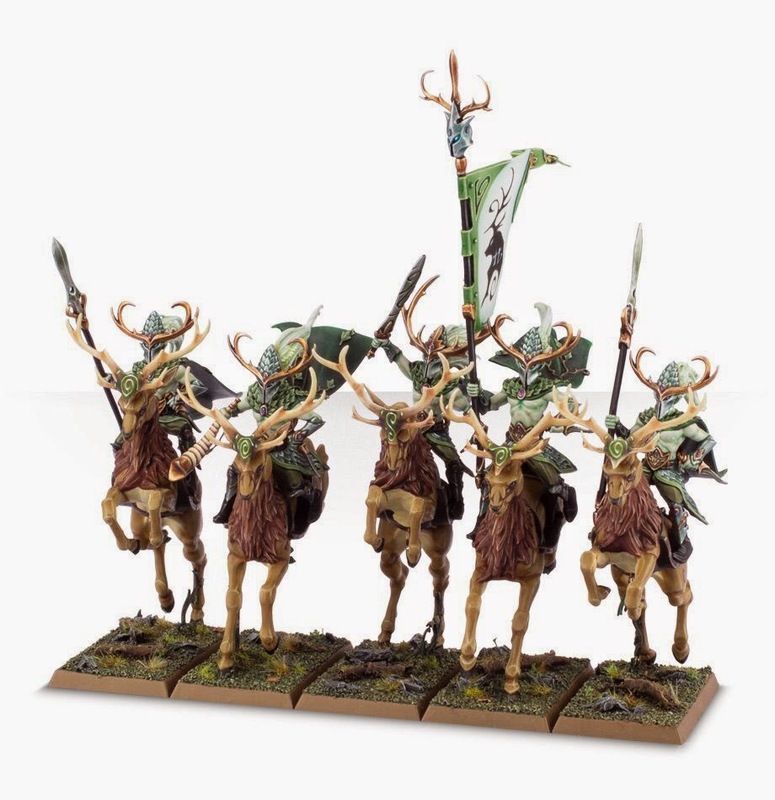 All the armies bar Beastmen and Chaos Dwarfs have the requisite number of results. When the rankings were first posted the top two were Warriors and Skaven. Over the past three months the gap between them has widened. Indeed in the past month we have seen a real fall from grace of the Ratmen dropping to 5th in the Power Rankings. 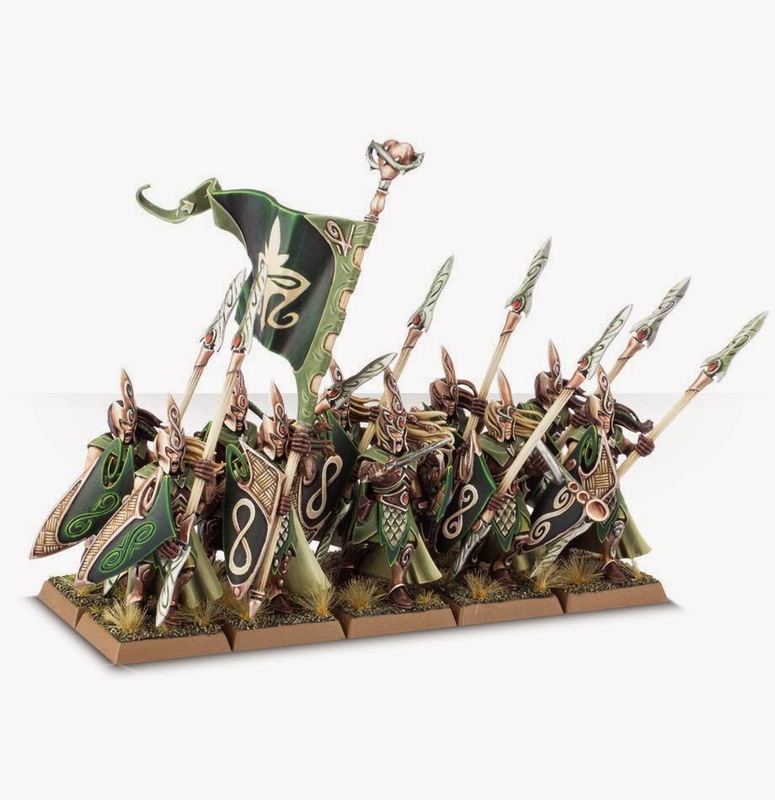 I'm thinking that the presence of Lizardmen is down to one little skink who is largely omnipresent in every Lustrian army. 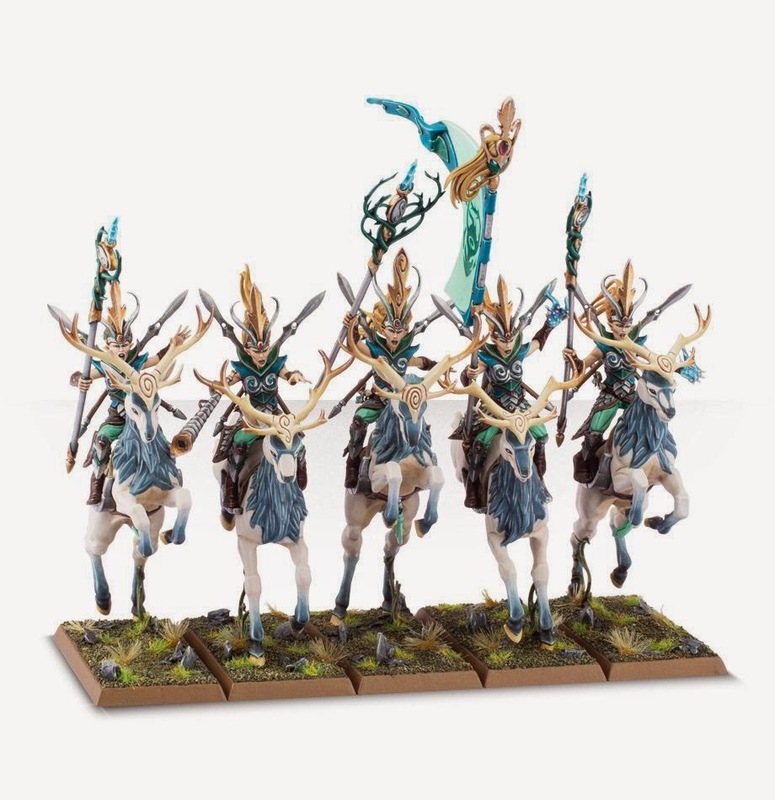 But for me the big sleeper are the Dark Elves. I fully expect them to push into the top five over the rest of 2014. So over the weekend I ran and umpired Runefang VII. It was 2400 points and required participants to bring an army that had a Swedish Comp score of at least 11. The event attracted 16 people but unfortunately one had to drop out the day before so there was an odd number. This necessitated me playing as the Bye Buster in addition to umpiring. I am lucky that I've got things running pretty slickly these days and playing as the buster didn't cause me any problems. I used a daemon list and this plays pretty quickly leaving me ample time to answer questions, input results and during afternoon tiffin on Saturday, pop in to GW to buy the White Dwarf. The event seemed very relaxed and a few people commented on how laid back and friendly it was. Certainly from an umpiring viewpoint there weren't too many curly questions. One came up about assaults in building but it was covered in the FAQs. Last game on Saturday one player had a wedding to go to so this dropped it back to even numbers. This allowed me to mark the presentation of the armies using my amended checklist. I found this straightforward and by breaking things into Painting - Detail - Basing - Conversions it allowed me to objectively mark the armies rapidly. I could also tell players where they lost points. In the end the average score was 31-32 out of 35. 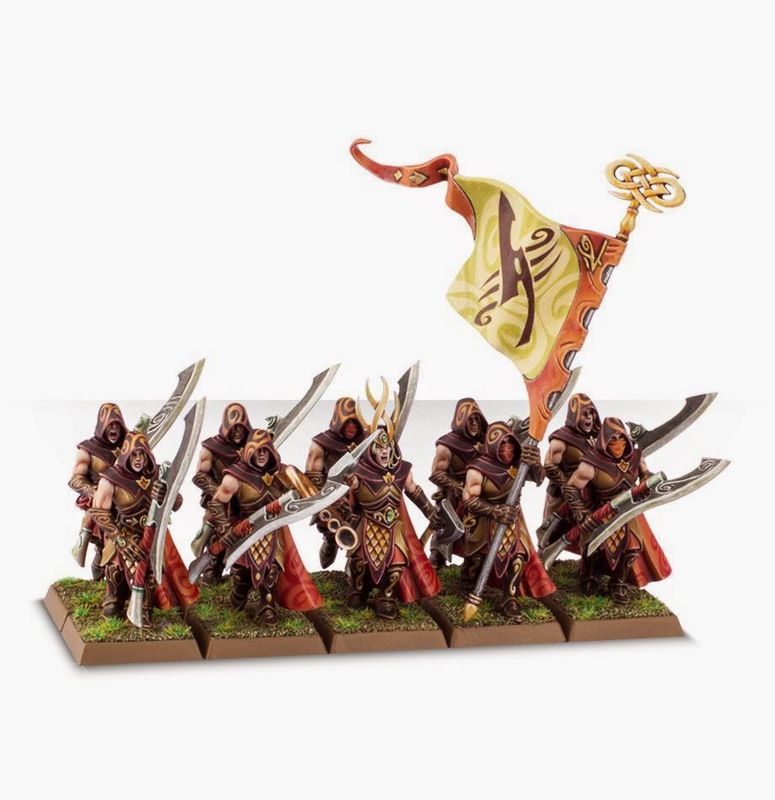 The top three scoring armies were also the top three armies for players choice. Maximum sports were scored by all players which reflected the laid back nature. For the bye I gave the player 20 BPs and max Sports this always causes a conundrum as you don't want it to influence results. In this case no prize winner played the bye. It also illustrates the reason I go out of my way to ensure we have even numbers if at all possible. The only downside for me was the low numbers. Last year some people requested greater variety in the type of events. His year I have tried to create this variety by changing point sizes and comp systems. However the number of people attending events has actually fallen dramatically. So it seems at least in part the community hasn't backed what the more vocal elements requested. In future I will be inclined to run permissive comp - FOB Lite - and stick to 2400 points until the numbers show some recovery [people tend to attend if there are less restrictions]. I'll leave the variety to other events. However the lower numbers didn't at all dampen what was for me at least a very fun event. The rankings have been updated for the weekend's Runefang VII. Coupled with last year's Runefang falling out the Top 10 has been shaken up a bit. Peter Williamson with his win has moved into the Top 5 and with a number of people - notably Sam Whitt and Sam Campbell - dropping last year's event the Top 10 has a slightly different makeup. I'm expecting that we'll see a few of the icons move around over the next couple of months. While the numbers were down on last year, everyone seemed to have a lot of fun. This was evidenced by the perfect sports scoring. This year we used Swedish Comp where your army had to be 11+ to participlate. Painting was out of 35 using the Fields of Blood Checklist. Battle made up 60%, Sports 20% and Presentation 20%. With Horned Rat VII coming up I thought it worth listing the key rule changes that are used in ETChammer. Thankfully there aren't as many of them as there used to be. True line of sight except hills and impassable terrain are infinitely tall. You can only use maximum 5 power dice to cast a spell - except for Death Magic and Mindrazor wher maximum is 4. There is no limit on Dispel Dice. And that is essentially it. 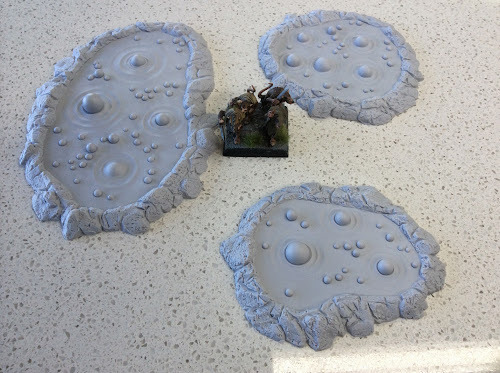 There is no Mysterious Terrain and all games are Battleline.